Your time is precious; don't waste it on unqualified candidates. When you're ready to get started, our response team can work with you to craft up to 4 qualifying questions that, when answered incorrectly by candidates, disqualifies them - saving you time in vetting resumes! Once posted, leave it to us to disseminate your job to hundreds of top job boards chosen based on title, location and your industry. 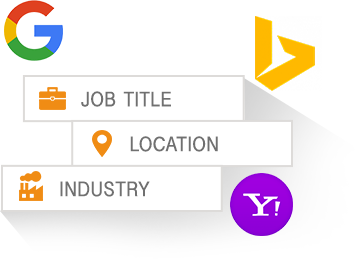 We will also disseminate your job through social media and optimize it for search engines including Google, Bing and Yahoo. Within 28 days, at least 7 candidates will apply - Guaranteed! * And if they don't, we'll continue to run the program until you do. 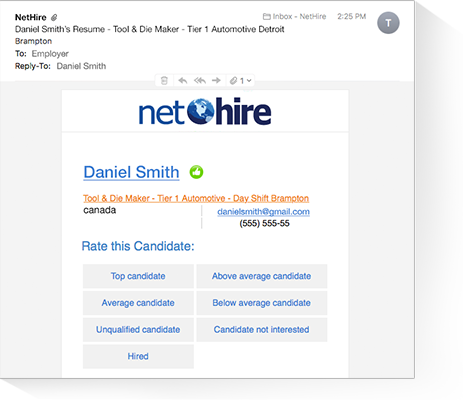 The applications can be delivered to you the way you want: in your email, NetHire candidate management system (CMS), existing applicant tracking system (ATS) or any combination of the three. 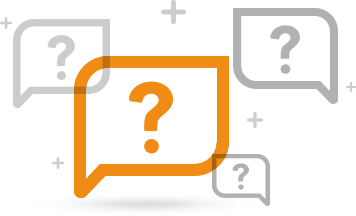 If you choose the NetHire candidate management system (CMS) you'll get access to all of the sorting, filtering and management tools NetHire has to offer. 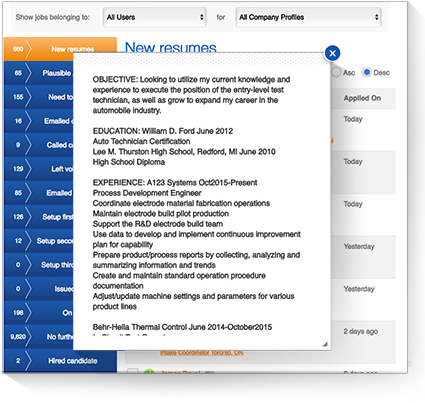 Let us train you and your team to leverage these tools to maximize your hiring efficiency. * Programs run for 28 days. 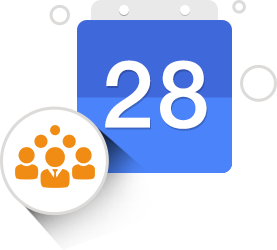 If, at expiry, you haven't received 4 (for positions requiring investment or owner operators) or 7 (for every other position) qualified candidates or hire, we will extend the duration for an additional 28 days. A program may be extended 3 additional times. ** Programs are valid for one (1) year from the date of purchase. Programs may be reactivated at no charge so long as the client, within thirty (30) days of expiry, both pre and post expiry date, notifies NetHire of their desire to want to use the program credits in the upcoming twelve (12) months. Programs can be reactivated twice (2) - for a total duration of three (3) years maximum. After the thirty (30) day no-charge reactivation period, for up to eleven (11) months after the expiry date, program credits can be reactivated for $85 each.